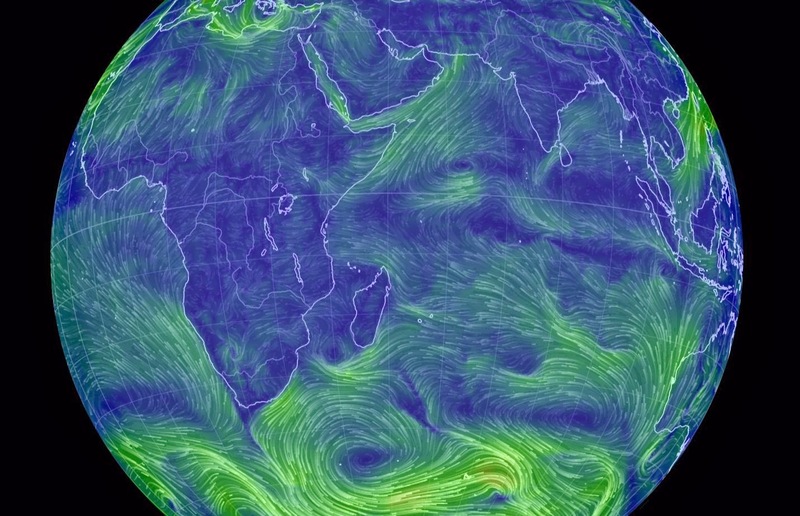 Here's a great site to see the wind patterns in any part of the world. At this moment in the picture, the teams in the Volvo Ocean Race are completing the Cape Town to Abu Dhabi leg and are heading into a stronger northeasterly. Great stuff! Yes, it makes me appreciate how the early explorers were able to navigate all of these conditions for months at a time with no way of knowing what they were sailing into. Thank you for sharing information about sites where you can find a lot of useful information for my research.